In 2014 we published several articles in the DAX Patterns web site. We’ll continue to publish new patterns in 2015 (the first one later this month! 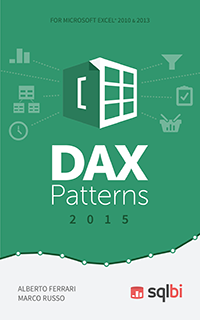 ), but in the meantime we created a first printed version of the patterns available: DAX Patterns 2015. It might seem strange, but we really received several requests for a book version of the patterns, so we added two chapters at the beginning, created a cover page (thanks Daniele!) and formatted the content for the paperback and eBook version. 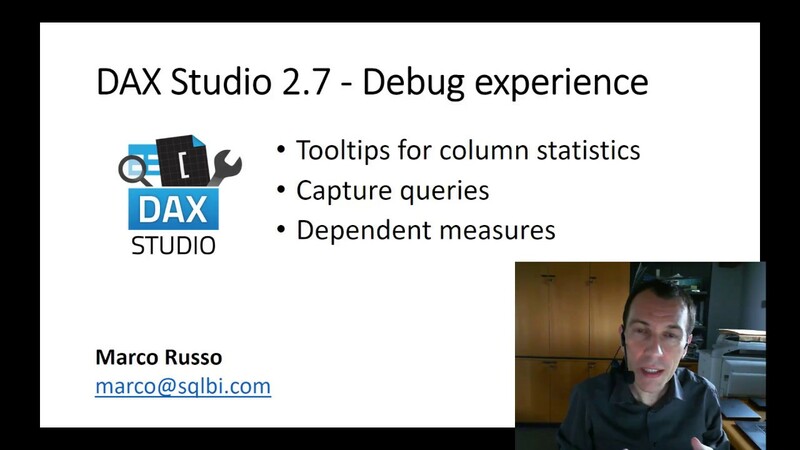 Please, remember this: you will not find any new content in this book, every pattern corresponds to an article published on www.daxpatterns.com that it’s available for free! We set a price that should make us able to cover the cost for editing, but we set a very special launch offer until January 19, 2015: less than 2$ for the eBook version, and 14.50$ for the printed version. Price might vary depending on the country (currency and taxes/VAT). After January 19, the regular price will be 9.99$ for the eBook and 29.00$ for the printed version.